Burlington Furniture is an independent, locally owned furniture retailer and design center. It’s been the one-stop-shop for furniture, lighting and design services in Burlington, Vermont for 30+ years. They now occupy a 28,000 square foot showroom filled with a wide range of modern and contemporary home furnishings. Incorporating the “design-forward” experience of visiting the furniture showroom needed to come through on the website, and Bytes worked closely with a local creative agency in order to do just that. The new site is clean, easy to navigate, and prominently features their contemporary furnishings. Burlington Furniture is now a full-service client, relying on Bytes to manage all aspects of their digital strategy. Our Facebook advertising efforts for Burlington Furniture have been successful in promoting sales events and new furniture brands available in the showroom. On a monthly basis, we drive an average of 800 clicks to the Burlington Furniture website from ads. We’ve also grown the number of overall page followers to over 2,800, and captured an average of 30 new email addresses a month for the weekly newsletter that is sent out to customers. 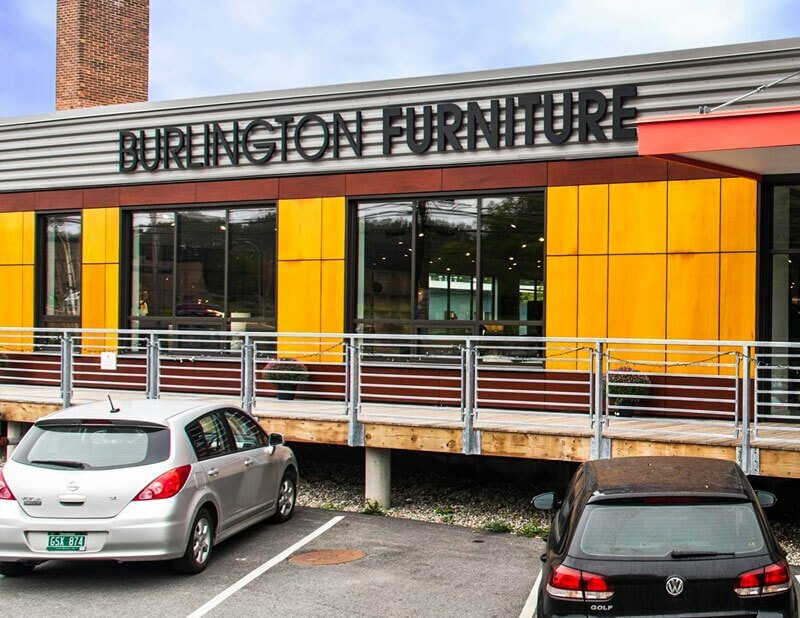 The campaigns work together for not only driving traffic to the Burlington Furniture website, but also keeping customers informed, and ultimately growing traffic in-store. Marketing campaign blasts for monthly specials get published across multiple social channels and platforms.